In honor of my trip to Portsmouth, NH this week, I chose to write an article about one of that city's favorite sons: Woodbury Langdon. Often cast in the shadow of his younger brother, John, Woodbury Langdon participated in the early development in the State of New Hampshire. Although he was slow to take up the Patriot Cause, and not all of his contributions were positive, he no less gets to be included among America's Founding Fathers. Woodbury Langdon’s father was a moderately successful farmer and shipbuilder in Portsmouth, New Hampshire. Instead of continuing in the family business, Woodbury and his brother (future governor John Langdon) decided to forgo their father’s industry and pursue the mercantile trade. Langdon took up an apprenticeship in a counting house, learning under the tutelage of Henry Sherburne. After marrying Sherburne’s daughter, Sarah, Woodbury struck out on his own. Like his brother, Langdon was able to obtain great personal wealth before the American Revolution broke out. After the Battle of Lexington and Concord, Woodbury Langdon sailed to London. The mission to England’s primary objective was to recover money owed to his counting house. With the beginning of hostilities, Woodbury needed to make sure that any debts he was owed would be paid. After two years in Europe, Langdon returned to America empty handed. When his ship arrived in New York City, Woodbury was detained by General Howe. Langdon had never officially declared which side of the war he was on. His decision to remain ambiguous may have been purposeful. If he sided with the Rebels, his trip to England would have quickly turned into a jail sentence. If he sided with the Loyalists, he may never have been able to return home. To play it safe, General Howe detained him in New York. He was free to move around the city but not to leave. His arrest continued, despite requests to let him go from British friends, until the following December, when he managed to escape the island. Following his return to Portsmouth, Woodbury Langdon devoted himself completely to the Patriot Cause. Langdon was sent to the Continental Congress (though he only went to Philadelphia for one of the four terms to which he was elected). Additionally, Woodbury served in the New Hampshire House of representatives and, later, on the State Executive Council (Governor’s Cabinent). He was then selected as an Associate Justice of the New Hampshire Superior Court. After a year in this position, he resigned to focus on his private affairs. In 1786, Woodbury was again elected an Associate Justice of the Superior Court. This time, he continued in the position for five years. His second round as an Associate Justices ended in controversy. Langdon was impeached by the New Hampshire House of Representatives for neglecting his duties. Woodbury counter argued that the pay given to judges was insufficient to live on, which is what necessitated his focusing on personal business. Additionally, he complained that the Legislature was too involved with the Court’s decisions. Although the impeachment was successful, Langdon resigned before the case would go to trial. Because of this, the matter was dropped. Woodbury would attempt a run for the United States Congress, however, his reputation had taken a hit, and this was unsuccessful. Woodbury Langdon’s involvement with the American Founding is largely overshadowed by that of his brother. Though his detainment in New York turned him firmly in favor of the Patriot Cause, his actions were primarily contained to the running of New Hampshire. Please follow me on Instagram as I explore the great city of Portsmouth and if you'd like to catch up on some of the New Hampshire Founders I've covered, try William Whipple, Mathew Thornton or Woodbury's brother John. 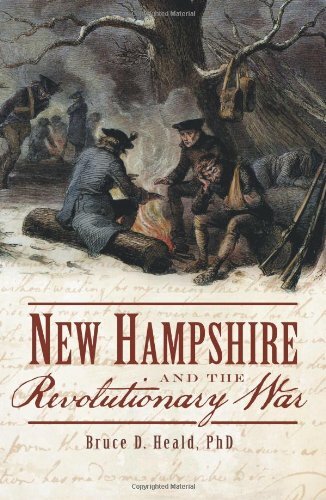 For a good read on the Revolutionary War in New Hampshire, grab a copy of 'New Hampshire and the Revolutionary War' from our affiliate Amazon. Going through the link below helps support this site at no extra cost to you.